Please read the following information carefully before clicking on the “I UNDERSTAND & AGREE” link at the bottom of the page to submit your service request. 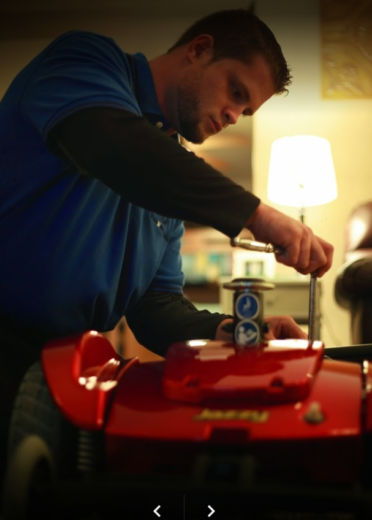 Statewide Mobility has many partners throughout the United States that offer repair services for power wheelchairs and mobility scooters in all major metropolitan areas with a coverage of up to 50 miles. Statewide Mobility is not a service provider, we are a new product retailer that offers a referral service for repairs and white-glove deliveries. Statewide Mobility has agreements with service providers on a national scale to provide wholesale pricing for repair service and white glove deliveries. Service providers give us the lowest price on service calls because we give them the opportunity for new business when we refer our customers to them for a service call. If you do not need a part or labor and just need answers, feel free to opt for our telediagnosis service for $99.00. Where a technician will listen carefully to the problems you are experiencing and walk you through the repair. This can save you $50.00 by opting for this service rather than a technician coming to your home. The $99.99 fee is non-refundable and all sales are final. What is not included with the $99.99 fee: A service call where a technician shows up to your home is NOT included in the $99.99 service fee. Parts and service are not included. Just a telediagnosis. When you need service for your mobility product, you can turn to our referral network to get quality service at a great price from one of our local partners. Our referral fee is $149.99 which includes the diagnosis and travel costs to get a local technician dispatched to your home. The $149.99 fee is non-refundable and all sales are final. Individuals who live outside of a major metropolitan area may be required to pay for mileage if the total round trip is over 100 miles. We charge $1.75 for every mile above 150 miles. What is not included with the $149.99 fee: Parts and service are not included. If parts are needed or if repairs are needed, the service provider will provide you with a quote separately. On the following page, a form will need to be filled out which will ask for general information and your preferred time frame and day of the week for the service call request. After your payment is made, we will schedule a service call within 1 to 2 business days in most cases. After you reserve your technician, the dispatch department will contact you to confirm the date and time for the technician to arrive. If you have read and fully understand the information on this page click on the button below to submit your payment and service call request. By clicking on the button below, you agree to the terms on this page and understand that all sales are final and that there are no refunds.